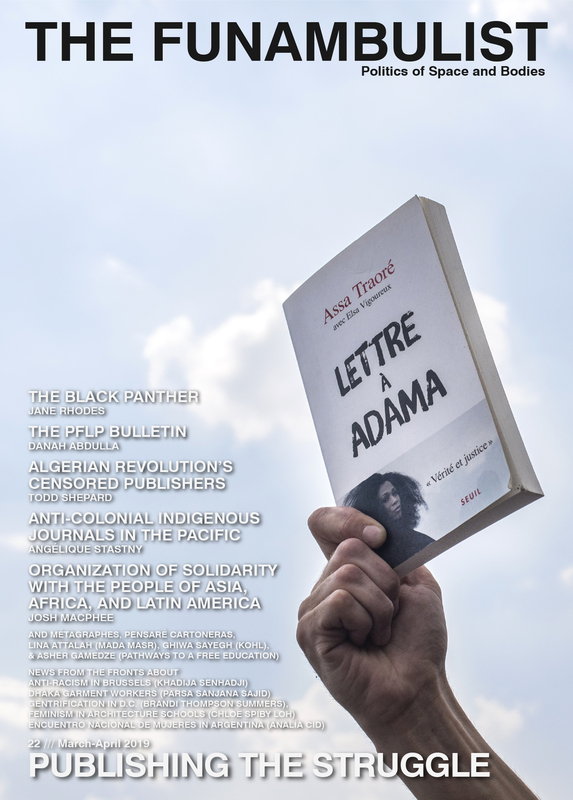 This new Funambulist Paper is written by friend Sofia Lemos, public programmer and researcher based in London, and with whom I have been sharing great interest for the relationships developed between the human body and the norm, as well as the violence that result from this encounter. In the following text, she establishes a short genealogy of the norm being recognized and constructed through a scientific approach to be later used as a standard on which to define space and architecture. Interested readers can make Sofia’s text dialog with a text I wrote in the past, entitled “Transgressing the Idealized Normative Body.” Her text is more anchored within a historical genesis of the normative process in the context of design, but we both see in Ernst Neufert’s work, the paroxysm of such practice that constructs a normative body to be used as an paradoxically ideal — it is a paradox since ideal and norm commonly appear as antithetic — to design space around it. The violence that results from this process is then proportional to the degree of difference that the considered body has vis-a-vis this normative invented body. Architectural practice and theoretical discourse has considered Ernst Neufert’s canonical Architects’ Data (1936) as a product the search for an optimal built environment based on accounts of a single normative body. In light of the increasing pervasiveness of bespoke biometric solutions and applications in architecture and design, this essay seeks to offer a different genealogy of the entanglement between architecture standards and statistical methods of measuring the social body. This essay draws a speculative history from the point when modern architecture ceases to account for, to become accountable for normalizing that body. Norms, have long inhabited the architect’s toolset. Pertaining to the carpenter’s square or rule norma is first codified in the early nineteenth century as ‘standard, pattern, model’ as evidence of its common usage. Whereas the vernacular use of the noun ‘norm’ had to do with geometry, with ‘right angles’ and perpendicular lines, its adjectival derivation ‘normal’ is defined in 1828 in the Oxford English Dictionary as ‘constituting, conforming to, not deviating or differ from, the common type or standard.’ The emergence of the adjectival form of the noun is the first historical clue that suggests a symbolic shift that happened throughout the eighteenth century from the language of geometry to that of biological matter. Clinical medicine and its codification of the physical body stand as the pivotal discipline that takes a set practices and discourses that rendered issues of nationality, gender, race, etc. as operable themes towards sovereign ends. ‘Normal’ as we understand it today, i.e. a healthy being not impaired in any way, is reflective of this period and its attendant discourse about the body. Normality or the condition of being normal, at ‘right angles’ surfaces in 1849 in close coincidence with its etymological counterparts; ‘abnormal’ and ‘abnormality’ which first enter the Oxford English Dictionary under the definition of ‘deviating from the rule’ in 1835 and 1854, respectively. Throughout the second half of the 1800s the antonyms placidly transitioned from its disciplinary abstract definitions rooted in science and statistics to public consciousness. Notoriously, in France, where the morphological trajectory from medical jargon to the public forum is older and most clear, scholars in comparative literature have noted that three generations of French novelists Balzac, Flaubert, and Proust problematized ‘normality’ to epitomize what they believed was the inherent morality of a disintegrating society in which the deviation was subsumed within the norm. From the language of geometry and, thus, of declarative statements, norms became relevant to medical discourse as prescriptions. This ontological shift in what norms are in the 1800s can be thought as the product of the concurrence of two distinct historical forces: on the one hand, the synthesis between the disciplines of anatomy and clinical medicine that was brought about by the advent of new diagnostic techniques; and, on the other hand, the adoption of Pierre-Simon Laplace’s (1749-1827) probabilistic study of random errors by statistics alongside other sciences of measurement. The entanglement of medical and statistical discourse defined the architect’s toolset by concurrently rendering the norm as instruments of all-encompassing action and faltered inquiry. The emergence of modern clinical medicine, and of the anatomico-pathological model of medical episteme upon which it was predicated, was a particular product of the French medical practice in the late eighteenth and early nineteenth century, as Foucault demonstrated in Birth of the Clinic. The birth of the clinic heralded the transformation of the hospital as a site of ‘hospitality’ for those in need of shelter to a complex space of production: research, training and treatment are all posited as part of the same enterprise that catered to increasingly large numbers of patients. Concurrently, this shift is accompanied by the emergence of a ‘clinical gaze’ that abstracts individual patients into mere objects of study, and coincides with the substitution of classical scientific determinism with the science of probabilities and variation. Previous to the nineteenth century, physicians classified diseases based on the observation of the pre-conditional symptoms known at the time. By the beginning of the nineteenth century, technological advances enabled the reconfiguration of disease knowledge, which effectively transformed the existing approaches to anatomy. Auscultation, an ancient technology of relying on sound to trace inner changes in the body was modernized and refined by René Laennec (1781-1826) who connected the sounds of the internal organs to specific pathological states and changes in the thorax. The advent of a new instrument of diagnosis, the stethoscope (1816) signified the potentiality of a more accurate analysis prior to the failure of the organism and consequent dissection. Laennec’s name figures in the historical monographs of the time as having transformed the nomenclature of disease from a subjective description of symptoms to be associated with anatomical terminology. As ailments became identified as anatomical correlations, dissections and anatomy classes became progressively more essential to the physicians’ training in order to investigate the ‘how’ of corporeality. Notably, prior to the dissemination of the stethoscope, physicians practiced what is termed in medical history ‘bedside medicine,’ whereas anatomists would regularly be exposed to raw flesh and often go to great lengths to source corpses for study. Surgeons and anatomists began formulating their disciplinary body of knowledge around the 1500s by codifying abnormalities found in cadavers through their dissection. The invention of the first anatomical organizational systems was largely associated with coarseness, impropriety and, in earlier days even profanity, and was cultivated by surgeons who would regularly perform the tasks that physicians felt were beneath them. Diagrams and illustrations constituted a set of visual and discursive practices crucial to develop the profession and laid ground for medicine’s will to know. The epistemological grounds for the constitution of the healthy and normal body were then set through gaze and language. Fig. 1 Quetelet, AD. 1870. ‘Tables Of Human Development: Echelle De La Croissance De L’Homme.’ In Sur l’homme et le développement de ses facultés ou essai de physique sociale. Plate. New York. New York Academy of Medicine Library. My general object has been to take note of the varied hereditary faculties of different men, and of the great differences in different families and races, to learn how far history may have shown the practicability of supplanting inefficient human stock by better strains, and to consider whether it might not be our duty to do so by such efforts as may be reasonable, thus exerting ourselves to further the ends of evolution more rapidly and with less distress than if events were left to their own course. The unique body represented at the tail ends of the Bell shaped curve served to legitimize and naturalize a particular sociopolitical order. Aberrant anatomies were previously identified as monstrosity by visceral experience and operated primarily within a theological discourse rather than within scientific reasoning. It was only in the late eighteenth century with Diderot and D’Alembert’s publication of the Encyclopédie ou Dictionnaire raisonné des Sciences des Arts et des Métiers (1751-1772) that monstrosities was translated into scientific discourse, prepping the grounds for the norm. As a part of the Encyclopedia’s Supplément, Jean La Fosse (1742-1775), a Professor of Anatomy and Physiology in Montpelier, wrote a series of articles on the anatomy of the monster in which his conceptions of monstrosity are divested of divine causes and instead founded in malfunctions of the normal. According to the disability studies pioneer Rosemarie Garland Thomson, the aberrant body “framed and choreographed bodily differences that we now call ‘race,’ ‘ethnicity,’ and ‘disability’ in a ritual that enacted the social process of making cultural otherness from the raw materials of human physical variation.” This naturalization of ‘variation’ concerns what Foucault called the process of ‘normalisation’ in a series of lectures at the Collége de France between 1974-1975. In Abnormal, ‘normalisation’ partakes in the model of the modern medico-juridical biopower and aims at the integration and inclusion of the abnormal and pathological into the normal through a series of interactions between different institutions. Rather than acting through a model of exclusion or opposition, ‘normalisation’ assimilates the ‘abnormal’ as part of the ‘normal’ state and its proper function, turning the body into an object of strict control and under constant surveillance. Fig 2. Pearson, Karl. 1914. 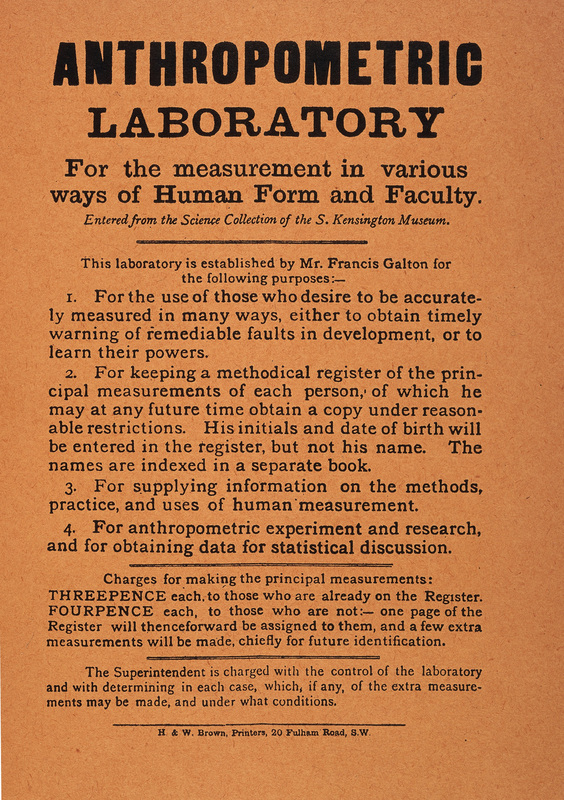 ‘Anthropometric Laboratory for the measurement in various ways of Human Form and Faculty.’ In The Life, Letters and Labours of Francis Galton. Vol II, 358. London. Wellcome Images. The locus where the aberrant could be brought back to the rule was the ‘Anthropometric Laboratory,’ which Galton, like Quetelet, opened in London as to further his statistical enquiries with larger sample sizes. Both had invariably distinct approaches to the Bell shaped curve and their legacies differ greatly. As a brief illustration, Galton was the inventor of the Intelligence Quotient (IQ) and Quetelet that of the Body Mass Index (BMI), two corporeal metrics with distinct teleologies still in present use. Whereas Quetelet with the BMI sought a society in which the average is ideal, Galton with the IQ sought a society in which the ideal corresponds to the optimal. However, to our present purposes, the idea that a population can be normalized and therefore have deviations from the mean diminished is the direct product of Quetelet’s social physique. Statistics was a mere technology that enabled the empirical presentation of the normal type as a matter of maximized value to the utilitarian political agenda. For the astronomer, the deviant body was an abstract topographic document upon which the symbolic codes of egalitarian democracy were institutionalized. The interchangeable use of anatomy and statistics developed a sovereign political discourse that codified how and what to ‘know’ in order to ascertain its functions and operations. These scientific ‘normalising’ systems of knowledge based on seeing and measuring corporeal difference effectively established representational strategies for the difference-enabling taxonomy-of-otherness popularized by the standard design methods of Ernst Neufert. If we were to consider readings of history anterior to the period examined in this essay, we could recall that man was once posited as the measure of all things. Throughout history man used his own body as metric for the instruments of service to him and his built forms. With the introduction of the metric system in post-revolutionary France, le metre was established by continental scientific consensus as the new decimal unit of length. The gamut of nineteenth century’s conception of progress was unavoidably connected with the industrial momentum that would increasingly operate under the demand for standardization. Foucault referred to the ‘clinical gaze’ as conductive of the epistemological rupture that permeates the disciplinary boundaries of bedside medicine and anatomy. After the French Revolution, this new form of ‘seeing’ afforded physicians and anatomists a more accurate perception and experience of body’s variation allowing them an unparalleled proximity to the ‘truth.’ The science of variation like the clinical gaze was believed to unearth all sides of truth and was therefore effectively applied as a form of industrial management in order to cope with population growth. Ernst Neufert (1900-1986) author of Architect’s Data (originally published as Bauentwurfslehre in 1936) accomplished the most complete illustrative encyclopedia of modern design. 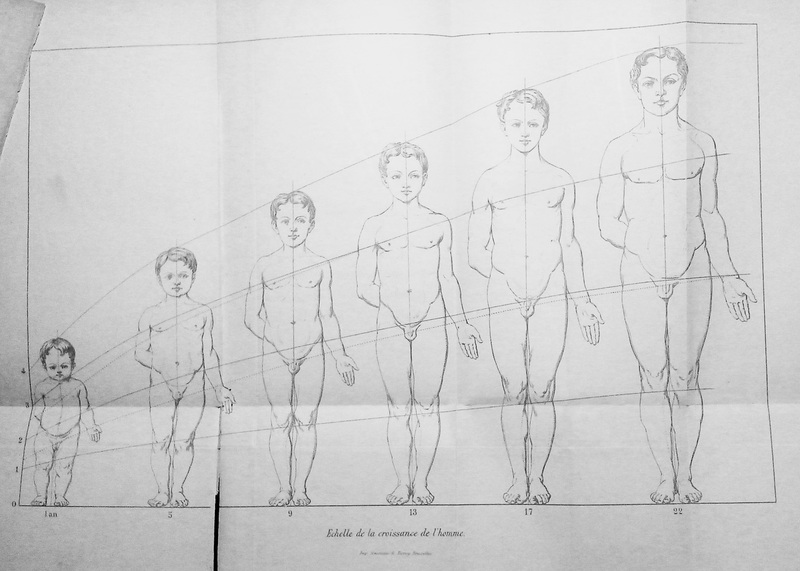 Although published almost a century after Quetelet’s first inquiries into his physique sociale, Architect’s Data reflected a realist political view of society, one that at the time was impregnated with historical affinities to Social Darwinism, a direct contribution from the anthropometric studies that launched Quetelet and Galton into History. The social physics of Neufert’s buildings was one that strived towards the ideal of the average. Presently in its fortieth German edition, Architect’s Data has been translated in over twenty languages and remains the most important compendia on architectural standards ever written. In a nutshell, the architect sought to create guidelines that could accelerate the process of design and building for which he undertook an exhaustive study of the relationship between the sizes of human limbs and the space that surrounds the human body. First published in 1936, his ouvre remains the canon of spatial planning and site requirements for most designers who rely on the metric system for introducing the standard dimensions of the spaces we inhabit today. Fig. 3 Neufert, Ernst. 1943. 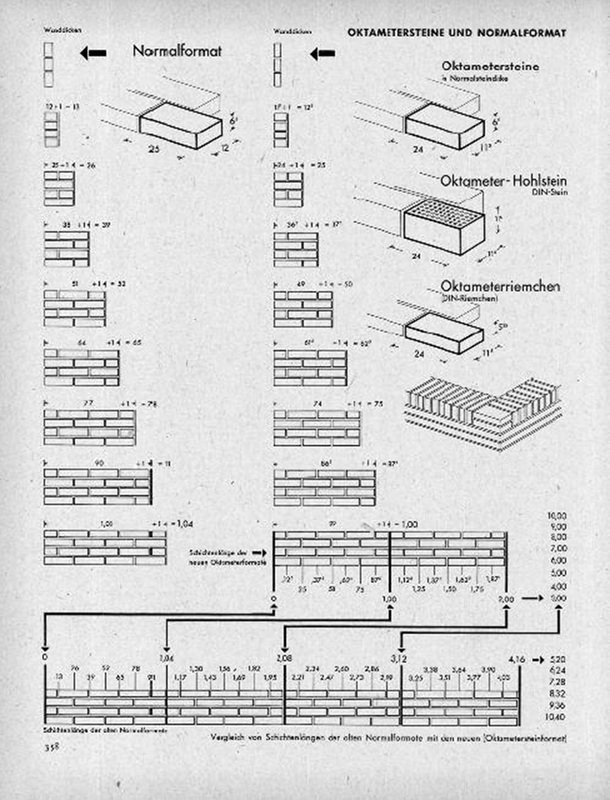 ‘Octametric Bricks (Oktametersteine) and Standard Format.’ In Bauordnungslehre. Berlin. Volk und Reich Verlag. Both and a predicament of its time and an omen of the post-war, Neufert’s standards act as textual evidences of the requirements, specifications and guidelines that ensure that industrial processes consistently meet public demand. My proposal investigates the possibility of standardization not as it is translated from the German ‘normun’ (or ‘normierung’) but as body technology of normalisation as Foucault and Canguilhem envisioned. Binary categories are used to organize rooms – they are implicitly designated as either public or private, wet or dry, female or male, domestic or professional, work-related or recreational, consumption based or production-oriented – which simplifies the task of programming spaces. Appointed in 1938 as Albert Speer’s Standardization Officer for the rationalization of housing in Berlin, Neufert continued to develop throughout his trajectory quantitative methods aimed at the efficient acceleration of the building process based on the average men. Additionally, as revolutionary winds were actively blowing throughout Europe and, colonial power in need of reassertion in ultramarine territories, standardisation appeared to (social) scientists an efficient mode of guaranteeing stability and control over the National population at an absolute dimension. . In practical terms, the use of Neufert’s design processes and products in the metropolis and its National colonies was again a method of asserting power by means of industry and conforming the production of the city to directives of utilitarian politics. Fig. 4 Yatziv, Amir. 2013. 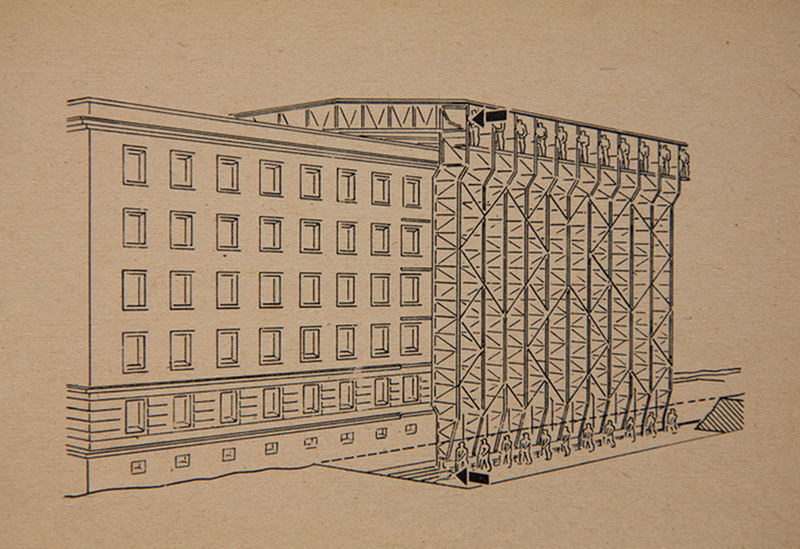 Blueprint From Bauordnungslehre (Ernst Neufert, Albert Speer, 1943). Image. Web. Foucault and Canguilhem carefully differentiated philosophical conventions that tend to trace a clear demarcation between ‘normative’ or prescriptive statements (i.e. what ought to be) and declarative statements (i.e what is). Quetelet and Neufert, the former through statistics and the latter through architecture, relied on normative statements to signify and design expected scenarios of social behavior. Quetelet’s social physique was to inaugurate the momentum from which Neufert’s architectural data could be read as empirical, and Neufert was to codify his own ‘average man’ by ‘normalising’ the subject of architecture. For both men, the mean was not merely a descriptive tool rather was a statement of the ideal. L’homme moyen provided the “right angles” by which modern architecture would be designed. 2. For a discussion of the influence of diagnostic techniques on anatomical knowledge refer to Duffin, Jacalyn. 1999. History Of Medicine: A Scandalously Short Introduction. 2nd ed. Toronto: University of Toronto Press. 75-79 and 198-200. 3. Annet Mooij demonstrates that the scholarly background of physicians was often contrasted with the more humble background of surgeons and anatomists, relating class to the kind of operations each performed. See ‘The pathologization of dissection.’ In Rooy, Laurens de, Han van den Bogaard, Simon Knepper, Johan Kortenray, and Antoon Moorman. 2009. Forces Of Form. 1st ed. Amsterdam: Vossiuspers UvA. 36. For a historical discussion on the relationship between anatomists and body snatchers see Bates, Alan W. 2008. ‘“Indecent And Demoralising Representations”: Public Anatomy Museums In Mid-Victorian England’. Medical History 52 (01): 1-22. Bates, AW. 2006. ‘Dr Kahn’s Museum: Obscene Anatomy In Victorian London’. Journal Of The Royal Society Of Medicine 99 (12): 618-624. Chaplin, Simon. 2008. ‘Nature Dissected, Or Dissection Naturalized? The Case Of John Hunter’S Museum’. Museum Soc 6 (2): 135-51. 4. Davies, Lennard J. 2006. ‘Constructing Normalcy: The Bell Curve, The Novel And The Invention Of The Disabled Body In The Nineteenth Century’. In The Disability Studies Reader, 1st ed. New York, London: Routledge. 5. 15. Quetelet, M.A. 1842. A Treatise On Man And The Development Of His Faculties. 1st ed. Edinburgh: William and Robert Chambers. 96. Note that this is the first edition of the English translation of Sur l’homme et le développement de ses facultés ou essai de physique sociale and was digitized and made available online by Google Books. On a further note this edition was part of a series “People’s Edition” and was widely distributed in the UK for the price of three shillings. Emphasis of the author. 6. Hacking, Ian. 1990. The Taming Of Chance. 1st ed. Cambridge: Cambridge University Press. 7. Galton, Francis. 1907. Inquiries Into Human Faculty And Its Development. 1st ed. London: J.M.Dent & Co. Electronic edition: 2004. 1. 8. Garland-Thomson, Rosemarie. 1997. Extraordinary Bodies. 1st ed. New York: Columbia University Press. 60. 9. Foucault, Michel. 2003. Abnormal. 1st ed. London: Verso. 26. 10. Canguilhem, Georges. 2008. Knowledge Of Life. 1st ed. New York: Fordham University Press. 121. 12. The Galton Laboratory emerged of the Anthropometric Laboratory part of the London International Health Exhibition of 1885. Visitors to the Exhibition were tested with instruments Galton had devised and paid a fee for a copy of their measurements and other data. Over 9000 people contributed to the exercise, although the data gathered were not properly analyzed until 1920-1930s when the Lab was transferred to University College of London (UCL) and renamed The Galton Laboratory. Following its success at the Exhibition, Galton established a permanent home for the Anthropometric Laboratory at the South Kensington Museum in London, which corresponds today to the Natural History Museum. 13. Vossoughian, Nader. 2014. ‘Standardization Reconsidered: Normierung In And After Ernst Neufert’s Bauentwurfslehre (1936)’. Grey Room, issue 54: 34-55. 44. Bates, Alan W. 2008. ‘“Indecent And Demoralising Representations”: Public Anatomy Museums In Mid-Victorian England’. Medical History 52 (01): 1–22. _______. 2006. ‘Dr Kahn’s Museum: Obscene Anatomy In Victorian London’. Journal Of The Royal Society Of Medicine 99 (12): 618–624. Canguilhem, Georges, Paola Marrati, and Todd Meyers. 2008. Knowledge Of Life. 1st ed. New York: Fordham University Press. Chaplin, Simon. 2008. ‘Nature Dissected, Or Dissection Naturalized? The Case Of John Hunter’S Museum’. Museum Soc 6 (2): 135–51. Davies, Lennard J. 2006. ‘Constructing Normalcy: The Bell Curve, The Novel And The Invention Of The Disabled Body In The Nineteenth Century’. In The Disability Studies Reader, 1st ed., 5. New York, London: Routledge. Duffin, Jacalyn. 1999. History Of Medicine: A Scandalously Short Introduction. 2nd ed. Toronto: University of Toronto Press. Foucault, Michel. 2003. Abnormal. 1st ed. London: Verso. _______. (1973). The birth of the clinic. 1st ed. New York: Pantheon Books. Frings, Marcus. 2002. ‘The Golden Section In Architectural Theory’. Nexus Network Journal 4 (1): 9–32. Galton, Francis. 1907. Inquiries Into Human Faculty And Its Development. 1st ed. London: J.M.Dent & Co.
Garland-Thomson, Rosemarie. 1997. Extraordinary Bodies. 1st ed. New York: Columbia University Press. Hacking, Ian. 1990. The Taming Of Chance. 1st ed. Cambridge [England]: Cambridge University Press. Levin, Harry. 1957. Contexts of Criticism. 3rd ed. Oxford: Oxford University Press. Rooy, Laurens de, Han van den Bogaard, Simon Knepper, Johan Kortenray, and Antoon Moorman. 2009. Forces Of Form. 1st ed. Amsterdam: Vossiuspers UvA. Vossoughian, Nader. 2014. ‘Standardization Reconsidered: Normierung In And After Ernst Neufert’s Bauentwurfslehre (1936)’. Grey Room, issue 54: 34–55.